In this age of digitized information and searches for new gadgets, there is a tendency to forget about long standing institutions that have paved the way for African-Americans to move forward. 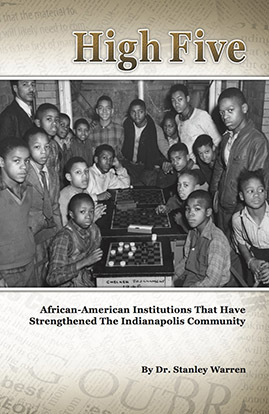 High Five, written by Dr. Stanley Warren, is an attempt to showcase five African-American institutions that have helped to stabilize the Indianapolis community. These institutions have led in attempts to bridge the gaps in racial, economic, educational, and social areas. They are by no means the only institutions playing this role, but their commitment has stood the test of time.